Downtown Viroqua in 1919, after the armistice ending the Great War (WWI). 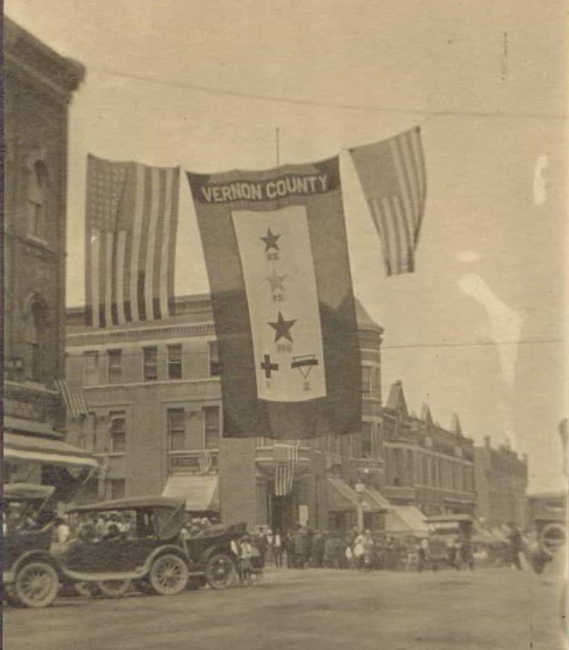 The big Vernon County flag waving across Main Street is emblazoned with a gold star representing the 50 people from Vernon County who died in military service, a silver star representing the 65 who were wounded, and a blue star representing the 968 who served in the military without injury. The flag also bears a red cross for the three who served with the Red Cross, and a triangle for the two who served with the YMCA. Behind the flag you can see the Fortney Hotel, which still stands at the corner of Main and Court. The building on the far right is the Opera Block, which also still stands, at the corner of Main and Decker. Carol Homstad was the teacher at Rognstad school when this photograph was taken sometime during the 1938-39 school year. 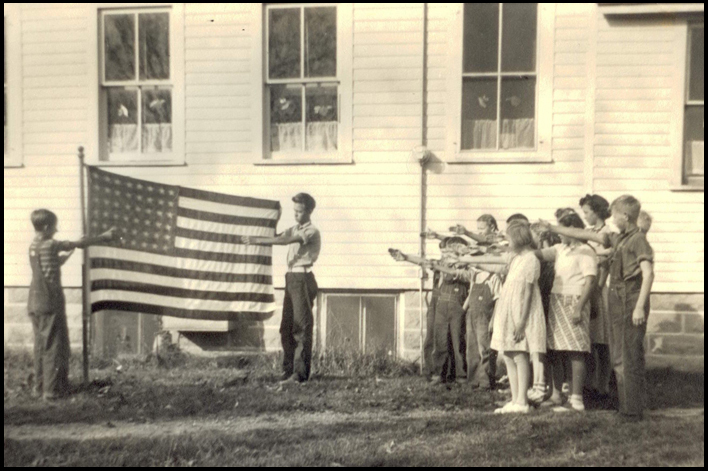 Can you help identify the event or any of the children pictured here? If so, contact the Vernon County Museum at 637-7396. For information on the schools of Vernon County, stop in the Museum to search the school archives. 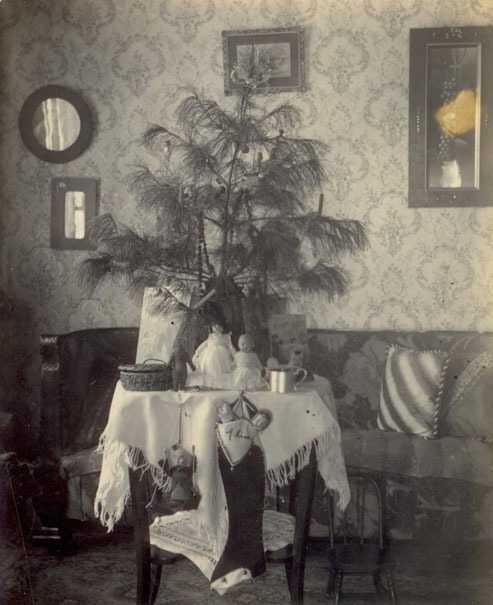 The Christmas tree and gifts depicted in this photograph were given to Alice Rogers, sometime in the early 1900's. Alice was born on May 15, 1903 in Viroqua to Henry Earl Rogers and Ella Larson Rogers. Henry was a prominent merchant who established his own dry goods store in Viroqua in 1906 and remained in business for 41 years. Alice married Langdon Divers in 1930 and settled in Madison. Alice passed away at the age of 91 on March 21, 1995. Her husband joined her on Dec 9, 2007 at age 105. Many wonderful photographs from their estate were donated in 2010. It was Wednesday, May 28, 1947, two days before Decoration Day, now known as Memorial Day. Temperatures were normal, in the 60's and 70's until a cold front moved in from the west and then from the north. To the west, in Wyoming and Colorado, rain turned to snow and moved east through the center of Wisconsin and by the time the storm was over, Viroqua received approximately 9 inches of snow. Ten inches fell in Gays Mills. 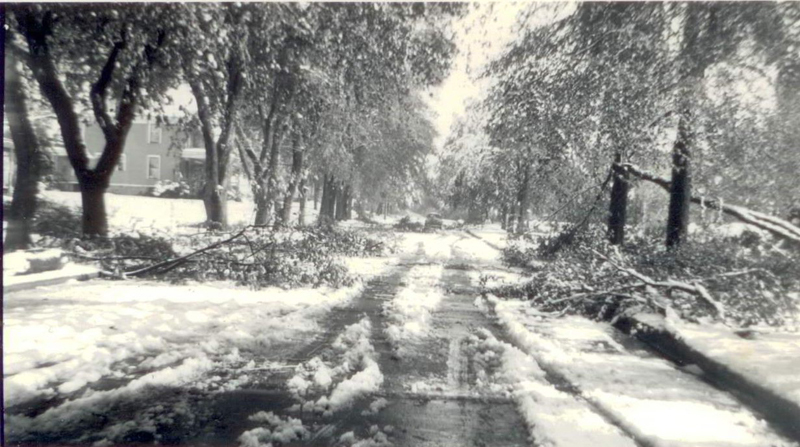 Large limbs and whole trees fell to the ground, damaged phone and electric lines and made city streets impassable, the worst since an ice storm in 1922. Emergency crews came from Sparta, Winona and La Crosse to restore those services to the citizens. Most of the snow was gone by Friday and the Melvina-Cashton baseball game went on as scheduled that afternoon. This photo, taken on May 29, of S. Rusk Street, is from the Henry and Ella Rogers photograph collection housed at the Vernon County Museum. Posing for the Viroqua Country Club's Zany Easter Hat Parade in the front row: Doris Smith, Garnet Sands, Barbara Curtis, Bonnie Getter and Vivian Fortney. Back row: Liz Dyson, Doris Cox, Vada Schreiter, Lois Heck, Clara Bekkedal, Margaret Mc Intosh, Jeanette De Lap and Helen Felix. 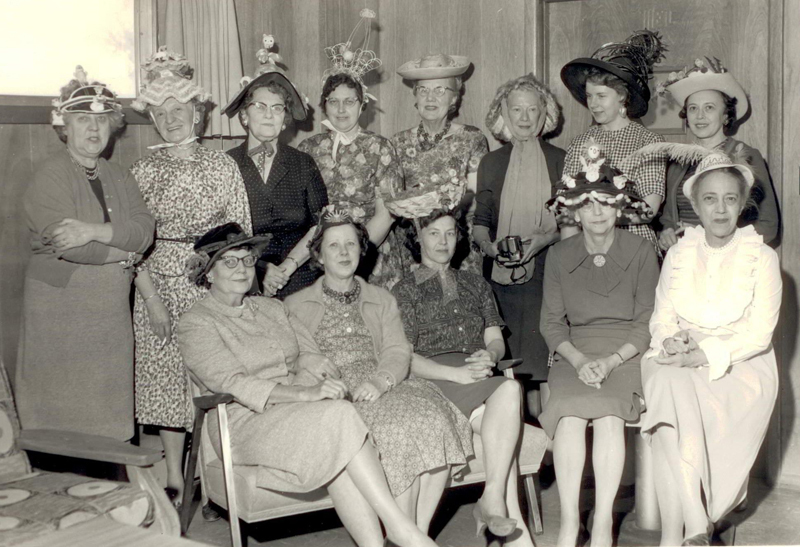 Most of the ladies constructed their own hats made with and assortment of materials like baskets, plates, birdcages and lampshades. For more information about the Viroqua Country Club, visit the Vernon County Museum.